Depart in the morning travelling to Wiltshire and arriving late afternoon at the Angel Hotel. 4 nights stay – dinner, bed & breakfast. A leisurely morning in Chippenham. Explore the historic architectural gems and modern shopping centres. This afternoon we have a short drive to beautiful Bradford-on-Avon for a short break before moving on to the village of Lacock, famous for its picturesque streets and as a location for TV and film. The beautiful Georgian City of Bath is brimming with things to see and do. Designated by UNESCO as a World Heritage Site, Bath presents some of the finest architectural sights in Europe: the Royal Crescent, the Circus and Pulteney Bridge alongside a diverse collection of museums and attractions. First to Devizes today, home of the Wadworth Brewery. Here we find the famous ‘Staircase Locks’ at Caen Hill. Sightseeing time in Devizes before heading for Avebury, where there is one of the largest and oldest stone circles known. Short ride from there to Swindon where we visit the superb ‘Steam’ the museum of the Great Western Railway, built on part of the old locomotive works. After breakfast begin our journey home and enjoy some stops in the Thames Valley. A revised tour to a delightful part of England. 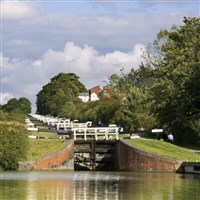 Wiltshire offers beautiful scenery,market towns, canals, historic houses and much more. In Somerset we have majestic Bath with its many attractions, making this a tour to remember. 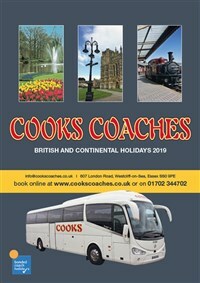 There is plenty of sightseeing time in Chippenham, where we stay; Devizes, Avebury, Lacock: also Steam, the Railway Museum in Swindon. ANGEL HOTEL, CHIPPENHAM www.bestwestern.co.uk . Originally a 17th century coaching inn, extensively refurbished in late 2007 to offer the best in surroundings and comfort with a traditional yet contemporary style. Indoor heated swimming pool & gym. Bedrooms are en suite and have television, telephone, hairdryer and tea & coffee making facilities.